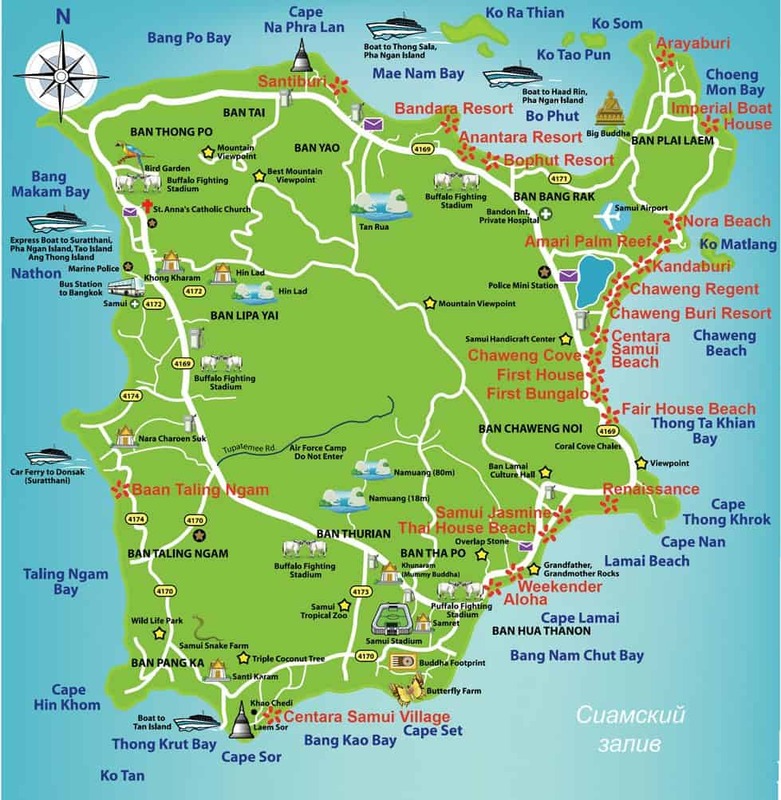 Koh Samui’s beautiful endless coastline fascinates many beach and nature lovers. Millions of visitors vacation to this island every year just to explore its pristine beaches. 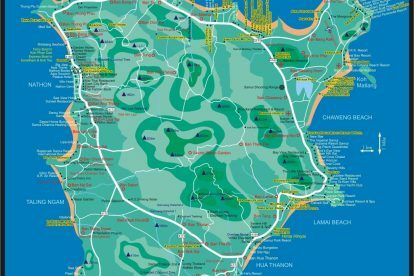 The island of Koh Samui offers you many beaches, with each boasting unique features. Now with so many choices, which one should you visit? 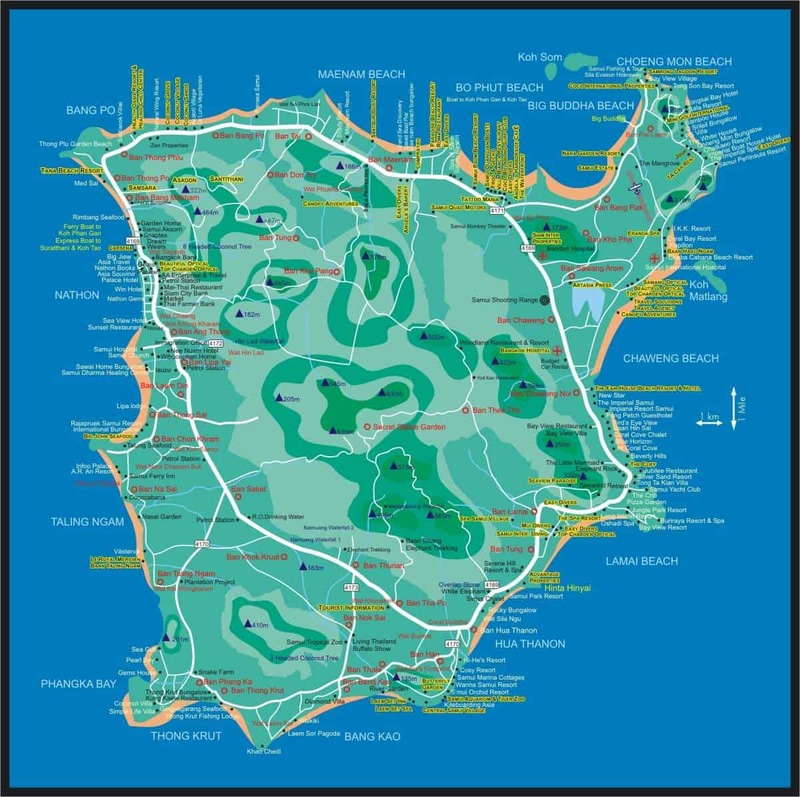 Here is a review guide and map of some of the best beaches on this island for you to refer to. Start your beach tour at the most popular beach in Chaweng. This vibrant beach setting features a wide array of beachfront hotels, condos, eateries, shops and plenty of seafood restaurants. This beach is lined with coconut trees is one of the best and cleanest beaches in Koh Samui. Explore this breathtaking beach setting that features 4 miles of the clearest water for you to enjoy some of the best watersports. If your definition of a perfect beach spot includes some family-friendly attractions, then head straight to the popular Lamai Beach. This beach is just south of the famous Chaweng Beach and Lamai’s typical scenic setting and welcoming atmosphere is perfect for those who are here with families. This beach has a healthy nightlife and an array of family-friendly restaurants. Also, the crowds at this beach are much lower compared to Chaweng. While visiting the northern coast of Koh Samui, you will come across the beautiful Bophut Beach. Although the area around this beach is less developed, the beach boasts great restaurants and shops nearby. Bophut beach’s relaxed setting is perfect for everyone. 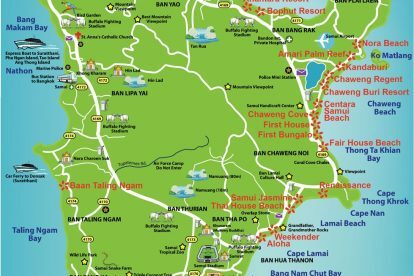 Visitors can also enjoy a number of water activities here and if you are looking for inexpensive, yet upscale bungalow accommodation, then check out the lodging choices near Mae Nam Beach. This beautiful beach is Koh Samui’s best serene setting to sit back to relax.